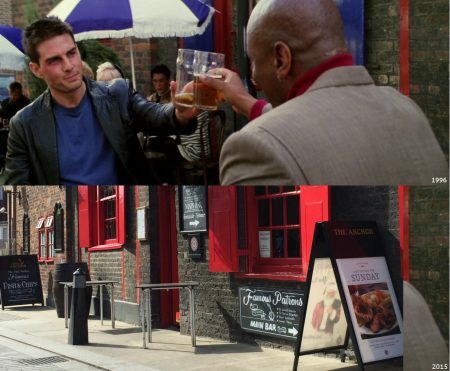 BRITAIN: IMPOSSIBLE..Or..in the run-up to FALLOUT.. why Tom Cruise’s Ethan Hunt is really all about a secret love for the UK: fighting our villains, embracing the landscape and surrendering to the irresistible allure of England and the Empire. 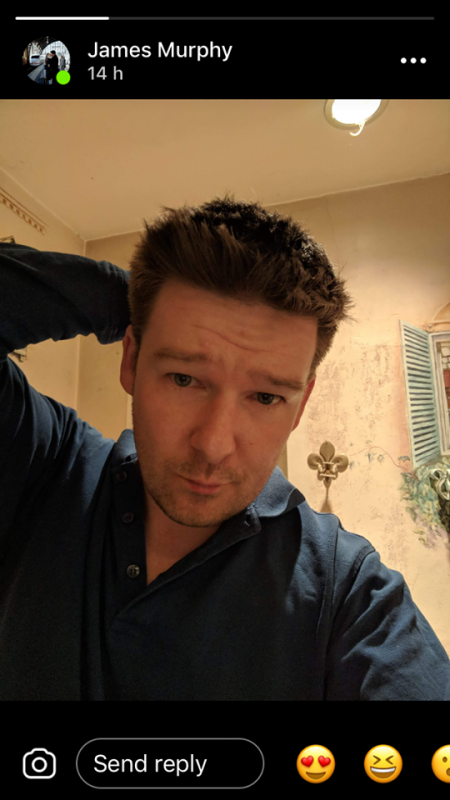 AGENT JAMES MURPHY INVESTIGATES FOR MOVIE-VIRAL..
Good Morning, Mr/Mrs/Ms/Other Reader.Your mission, should you choose to accept it..is to look at MISSION:IMPOSSIBLE -FALLOUT in a new light, before or after watching the film. 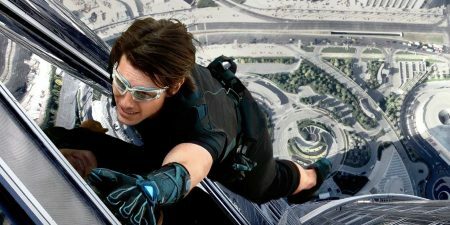 It’s massive as a movie, already adored and yet again models the amazing work ethic of Tom Cruise. But is there more to this franchise than meets the eye? Is it really an apolitical star vehicle excuse for fun set-pieces and playing with whichever mood/genre play strikes Tom and team every few years? Or IS there something more complex at work here? Some hidden, sub-textual, meta, hermeneutical code that even Ethan Hunt and team have not yet deciphered? If so, Secretary will of course disavow. This article will self destruct.. So: conspiracy theory time. 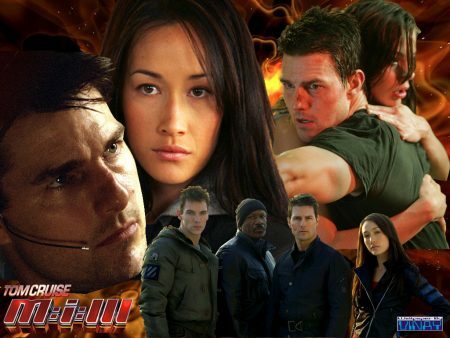 The ENTIRE Mission:Impossible series is a secret love/hate letter, from Tom Cruise and co to their colonial heritage in the English empire. Don’t believe me? Fine. Let’s look at the evidence,film by film..
Fond memories of this (I was 16/17 when it came out). LOVED Emmanuelle Beart in this and indeed anything. A great thriller and action adventure picture. Dark stuff happens but an upbeat tone is retained. Blast from start to finish. Was it a tad cynical in composition? Sure. This was 1990s era ‘let’s give big star their own action franchise and toight vest, using established nostalgia breeding properties and theme tunes‘. Paramount owned the rights to the series and they also wanted to own a piece of Tom Cruise and Paula Wagner’s then ascending power base, having helped nurture his work from Top Gun onwards. One of Sherry Lansing’s finest hours was brokering that deal. I met her once, in Oxford. One of the few times I have been starstruck /tongue tied. Lovely woman and great meeting her husband, the legendary William Friedkin. Anyway..back on topic..ah yes..M:I-1.. The film WORKED, on its own terms, regardless of its genesis in corporate branding. DePalma’s direction, Elfman’s score, a great supporting cast and Cruise in that lovely middle phase between earnest rookie and more weathered veteran. He’s somehow still full of youthful promise; but backed by a wealth of expertise (hence had been convincing as lawyers in The Firm and A Few Good Men) via genuine variety in other work / character parts (Rain Man, Interview with the Vampire, Born on the 4th of July..). This was a bona fide star, who had earned a bespoke franchise to play with and just experimentally riff on motifs and action set-pieces,punctuated by a smile and a run. Look a BIT closer, though. Who is the ‘baddie’ here? Well yes (spoiler) it is revealed to be an insider and one that threw out any notion of fidelity to the tv series canon. But they, in turn, report to a bigger bad. A British Arms Dealer called ‘Max’ (Vanessa Redgrave). The connective code is from the Book of Job (3:14, a MASSIVE clue to villain motivations in the film). And the showdowns are facilitated by meetings in Liverpool Street and the Channel Tunnel. So, really, the film is not about a missing mcguffin and Tom Cruise on the run. It’s colonial Britain. 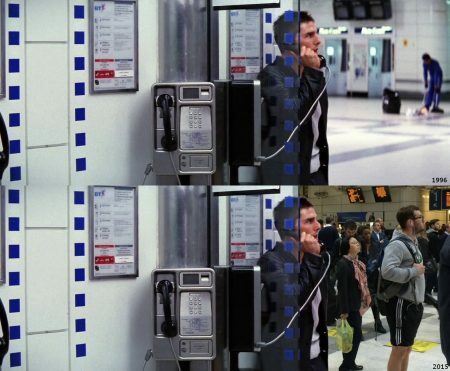 CIA even need to ‘call MI5’ to track down Ethan Hunt. And no, they don’t mean they want to watch Rogue Nation, 20 years early. The theme is clear: empires fall and as that happens, personnel who were once vital, will do anything to claw back some power. Leaving devastation in their wake. Just like the conversation we are having now about Britain and its role in the world, both in relation to a Trump era White House and a post BREXIT (or second referendum?) Europe. Did Tom design it that way? Of course not. But he could have shot the film anywhere. He CHOSE Pinewood in England and even stayed there another few years to make the excellent Eyes Wide Shut. And he KEEPS coming back here. To make ‘Mission’ movies! We should give him an honorary knighthood for his investment. I’m telling you! I have no fondness for this film. One awkward memory, especially.. my late Grandfather (RIP), ‘The Colonel’ was then dating a glamorous girlfriend (who had herself once been pursued by Sir Sean Connery, before the 007 actor met his wife). They had enjoyed movies I had recommended: The Rock, Gladiator, As Good as it Gets. They wanted another. 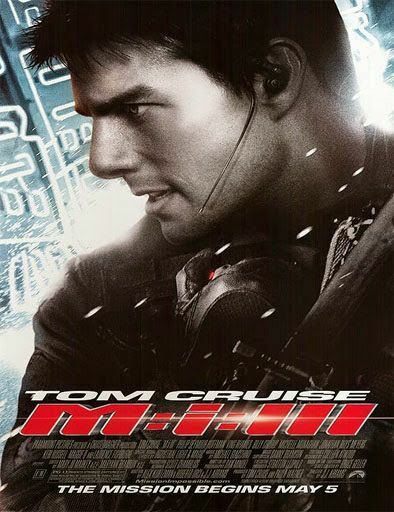 So, I suggested Mission:Impossible-2. 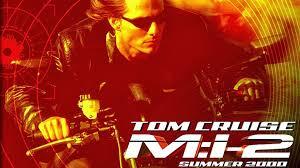 ‘THE Mission:Impossible‘, he christened it. The film is of course flawed. A mid life love letter to himself, by himself, from Cruise that tried to fuse Matrix era slow mo sfx to John Woo action ballet and retain a kind of relevance to the then and still now relevant fear of the bio-pharm industry gone rogue. The motif and tone are a bit of a mish-mash of James Bond, Australian tourism adverts and assorted other inspirations. There is little if anything to do with the nominal tv series source material here. Even the opening credits reduce the customary lit fuse to a split second in favour of extended close ups of Tom climbing a mountain to a song that featured in Rain Man. And yet: BEAUTIFULLY edited by Christian Wagner, as always. The action is immersive. You FEEL every stage of every fight and chase. Hans Zimmer’s score, especially the track ‘Injection’ is soul soaringly good. The cityscape, futuristic looking, night jump is beautiful and the ever so slightly overrated DARK KNIGHT (‘Begins and ‘Rises are better: just accept it 😉) owes that a ‘thank you’. M:I-2 is a visual feast and despite its focus on Tom, the supporting cast are all on top form here. One can watch this is as a self contained, simple and satisfying piece of action cinema. What you might NOT have noticed? THAT spectre of colonial fallout..still ‘there’! Love interest: ENGLISH (Thandie Newton). Baddie = another IMF agent gone..’rogue’: DOUGRAY SCOTT (who missed out on being Wolverine to finish work on this; he is a great match for Cruise and a physical as well as psychological threat as villain). Ethan Hunt has a new Boss here, too. Anthony Hopkins cameos as ‘Mission Commander Swanbeck’. And though for a change his character is NOT secretly eeeevilll, Hopkins, bizarrely, plays the role like a warm up for Hannibal Lecter (which he played again the same year). Every slow close up and line are milked, overacted with a sinister relish taken in setting up Ethan and his love interest for a mission into the unknown, via macabre details of a plane crash that made it all necessary. It’s like a kid who has a small role in the school play, drawing out their one line (trust me, I’ve been there). Awkward. Seriously though..watch those scenes. Yuck. Hopkins was a last minute stand in for Ian Mckellan, who was, like Hugh Jackman, but unlike Dougray Scott, busied with..X MEN! Would Ian have been LESS sisniter or even MORE SO? Well he can play goodies but even Gandalf has kind of a dark side. Point is? The BRITS ARE EVIL. Even when ‘good’. Or they are at best a bit naughty / creepy /odd? And all set to a backdrop of another lost property in the English canon..AUSTRALIA! Ten years from the first film, six from the second. A different Tom, different tone, shorter better yet not TOO short a haircut. In some senses, the movies that were NOT part 3 are as interesting, if not more, than what we got, though there are shards of connection, thereby showing what a complex process it is to write and develop a film from inception to post production and release /marketing. I would LOVE to read some of the abandoned scripts for this from the phase of development when David Fincher and Joe Carnahan were attached to direct. One had Ken Branagh as a neo-nazi bad guy, trafficking in human organ parts via Africa before the villains’ even bigger, badder terror plot was exposed at the end. Note: BRANAGH. NOT PLAYING POIROT? NOT IN HIS UNDERPANTS, POSING? Nah. Would never have worked ;). But he’d have no doubt been great. Coz for SOME reason, Hollywood LOVES casting ‘Brit’ (though in Ken’s case, he’a actually Irish) actors as nasty Nazis. Another proposed idea was Hunt vs a vengeful ex turned terrorist who was taking down world monuments, culminating with Mount Rushmore’s destruction. 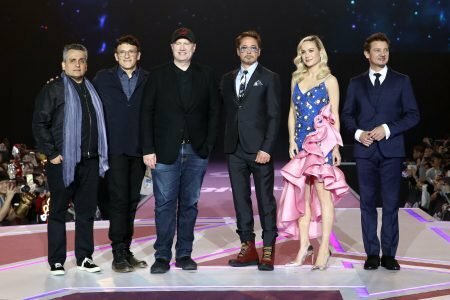 A prequel was also mooted, thereby reuniting the team from the first film, including Emilio Estevez; though that would have been at odds with bringing Carrie Anne Moss and Scarlett Johansson on board? Val Kilmer (get well soon btw: we love your work) was rumoured for the IMF boss role that went to Laurence Fishburne. So M:I-3 was almost a TOP GUN reunion a decade early would have been the outcome. Fear not, Kilmer is indeed turning up for TOP GUN: MAVERICK. Interesting.. Anyway: JJ Abrams ended up as writer /director and thereby began his reign here as King of the franchise reboot. He is still attached to the Mission..series as exec producer of sorts, in between Stars Trek, Wars and whatever his next brand reinvention is. This is among his finest work, from the opening to end, edge of seat stuff and complex emotional / psychological dynamics, within a simple plot. We never even find out what the ‘Rabbit’s Foot’ mcguffin does? And the beauty is we never need to! MYSTERY BOX! At its actual BEST. Hitchcock would approve. 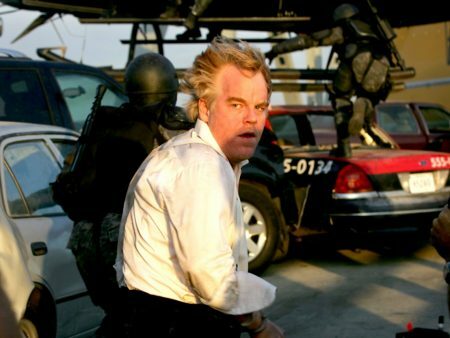 Phillip Seymour Hoffman (RIP, sadly) shows how great he was in everything here, as committed in a baddie of the week for an action franchise part as he was in any arthouse experimental production. Notice the scene where he plays Tom Cruise, playing him: genius. And he subtly manipulates his more comedic ticks and expressions to craft raw menace and evil in a split second shot. And yet? He is NOT the REAL villain. There is just something about how a Brit conveys intent, authority, implied violence. The Americans know and have a love/hate relationship with that quality. 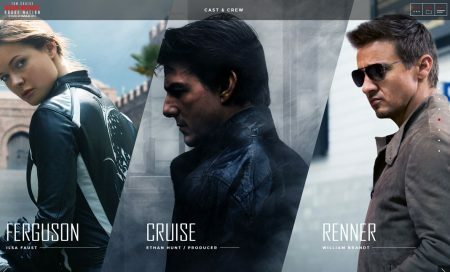 So yes, even in a film with no visits to England (though Berlin is dropped in on: a hangover from the script’s earliest iterations, though sadly even Tom Cruise did not get to film at the Reich-stag as planned)..the power of a very scary, super-powered, secret British menace..pervades the franchise..
A welcome comeback for Cruise and indeed the team ethic of the brand. Coincided, neatly, with IMAX trailers and hype for my beloved DARK KNIGHT RISES (2012) and I remember that genius act of synergy in marketing. The film itself is great though. An actual MISSION, too! At last! As in save the world sort of stuff! Yes, Hunt and co do get ‘disavowed’ (again) but this time it’s a consequence of the story, rather than simply a basis / substitute for motivation. At its simplest, the film is a take on the ticking clock /save the world ploys that propel many a spy thriller. This is a Roger Moore /Pierce Brosnan era Bond film but fused to a more genuinely faithful representation and transfer of the Mission:Impossible tv series tropes. 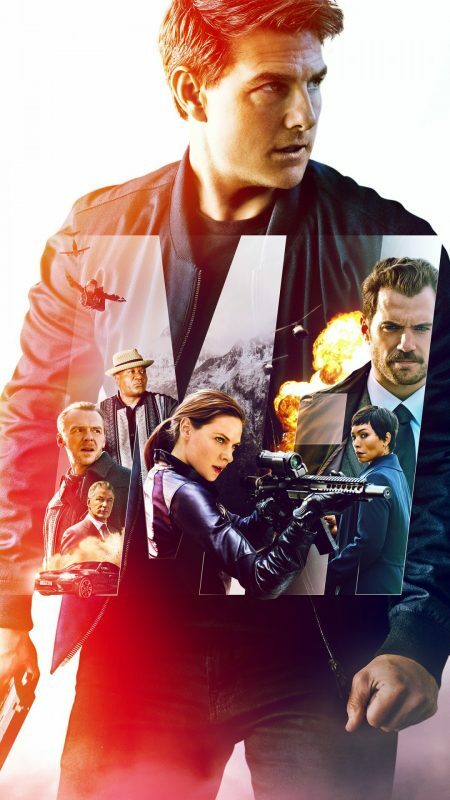 Tom is still front and centre but the middle is a selfless ensemble team movie, with Jeremy Renner deployed well as a (then) budding successor to Ethan Hunt. Lea Seydoux is in this. It is therefore excellent, immediately, even without the stunning set pieces, score, pace and generally upbeat and engaging tempo, whilst allowing for catastrophic stakes. This is Brad Bird as a Director showing how you can be just as good at live action as you can with animation (INCREDIBLES 2 now on general release). The baddies are RUSSIAN. NOT ENGLISH. NO VISITS TO ENGLAND, HERE. And yet..this pantomime fun escapist exotic spy romp STILL has those pangs for England. Simon Pegg as Benji should have been a funny cameo one off in part 3. And yet..here he is, physically transforming into a field agent with almost as much screen time as Cruise. Notice also that the ‘rabbit’s foot’ of the previous instalment was in fact explained by Pegg’s character. He foresaw a kind of Armageddon, an end to all things. Curiously, that very fear is the motivation for the Russian baddie here to try and bring that event about, like some self fulfilling prophecy. Does Benji have some implicit supernatural foresight? Has he been a baddie, all along? Probably not. But he is English and in THESE films? It’s gotta mean SOMETHING! This is a work of genius! Is it derivative? Sure. 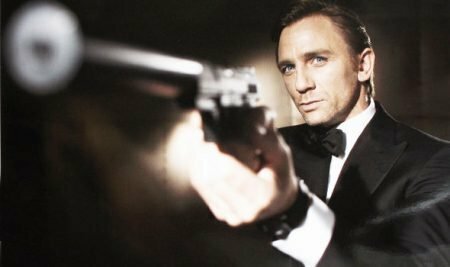 Draws on its own series’ mythology for the first time and owes a LOT to James Bond, among other things. Overuses Puccini when Wagner would be more apt. Has Ethan go rogue yet AGAIN. Fails to bring back Henry Czerny from part 1 when the script calls out for his return. Plot and resolution of little if any consequence. Zero chemistry between Cruise and his leading lady. Simon Pegg overstretched. But for ALL that? The action choreography, fights, aesthetic, music, pace, balancing of humour and serious thrills..all flawless. I believe the brilliance of this cost SPECTRE dearly both critical and commercial plaudits the same year. The kind of film one can watch and re-watch, ad infinitum, and never tire of its treats. And above all? THIS PROVES MY THEORY, EXPLICITLY! British bad guy (Sean Harris). London as start and end point. And a mcguffin and machination that originate entirely in the murky depths of a British establishment, still desperate to play a part on the world stage. I shan’t spoil the precise details in the event that you are yet to see this but see it you MUST. A true blast and an essential watch for anyone claiming to appreciate this genre or the sheer escapist joy of cinema in general. Blimey. CHRISTOPHER MCQUARRIE IS A GENIUS. ROGUE NATION IS PERFECT. If it aint broke.. So, in a break with the ‘changing directors each episode’ tradition of this franchise..he was asked back..for FALLOUT! I will not share the details because the film is only released in the UK next week . But the reviews have been universally positive. 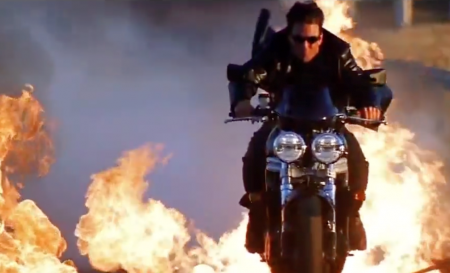 Yet another masterclass in polished professionalism from Tom Cruise as Ethan Hunt. These films are now his love letter to Cinema, each providing an opportunity to entertain and astound with his selfless and limitless commitment to stunt-craft and set-piece concoction. Will the Brits turn up in some form? Well, Henry Cavill is in place as a CIA antagonist with BIG MOUSTACHE to match. Sean Harris is also returning. AND there is an action sequence in London (THAT one..you know..where Tom broke his ankle, yet soldiered on, due to an indefatigable work ethic). So..basically..yeah..spoiler alert..I am right..Mission:impossible, the film series, featuring Mr Tom Cruise is really about the ‘fallout’ between the USA and its old colonial master, the UK. At this rate? 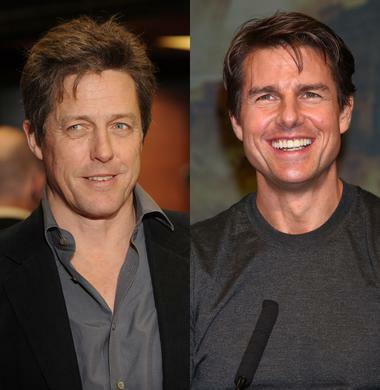 Maybe part 7 could have Ethan meet his evil English twin (Hugh Grant, anyone..he and Tom don’t look THAT dissimilar..). 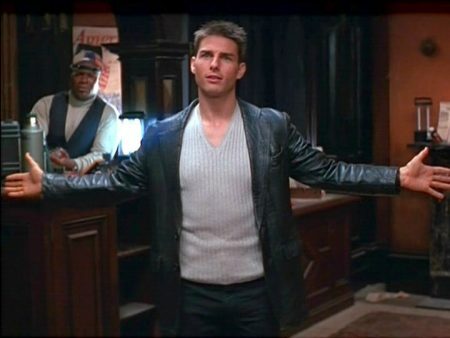 Worth noting too that we now have an American in the Royal Family..so expect the impossible..and more English excellence in the inevitable part 7, maybe for 2021 (25 years since the first Mission:Impossible movie from 1996). 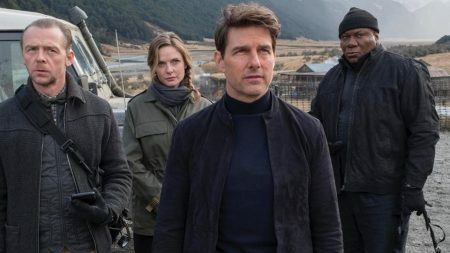 MISSION:IMPOSSIBLE-FALLOUT is released in the UK next week. We might review it, unless disavowed first. James Murphy is an IMF agent, based in its UK station. Hobbies include climbing impossibly high mountains without a safety harness and flying helicopters. (Half true..I once took a helicopter ride into the Grand Canyon..Tom would be proud).